The state of Wisconsin already has a renewable energy goal in place for 10% of energy to come from these sources by 2015. However, legislators have introduced a new bill that calls for 30% production by 2030. While this bill may not pass, the dialogue must be started somewhere. There are many legislators in the state who believe they should be talking about this going into an election season. However, it is also the first state to have such legislation, so any extra work they do to make their state more energy efficient is a good thing. Other states have since passed Wisconsin in renewable energy efforts, but the state legislature wants to go back to being at the forefront of these issues. 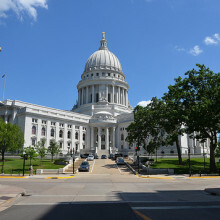 With a new bill, whether it passes or not, Wisconsin is heading in the right direction in terms of producing clean energy in the state of the next several decades.